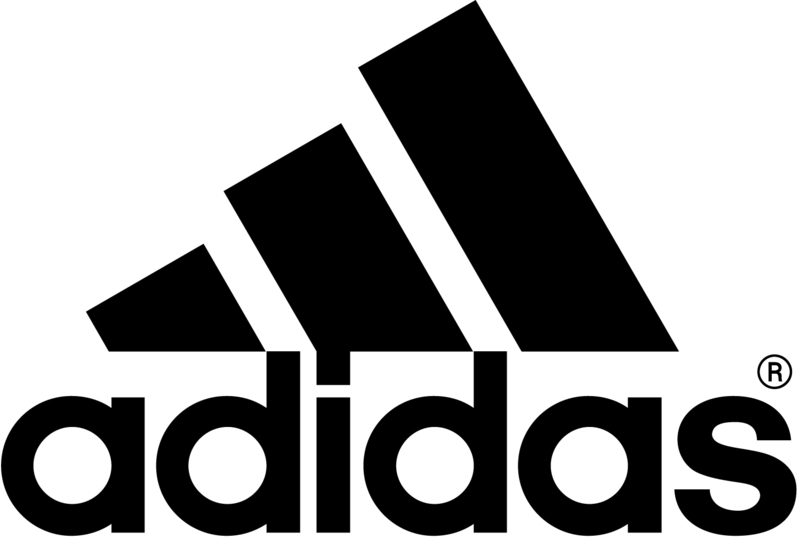 Definately one of the most famous logos ever created, most everyone can recognize the Adidas logo. The logo with its three stripes universally represents athletics and exercise. The logo works great in both positive and negative image modes with the black and white becoming easily interchangeable. This simple yet visually powerful logo is a great example of a great identity system logo. Adidas was founded by Adolf Dassler, who also created the logo with the help of his brother, the founder of Puma.